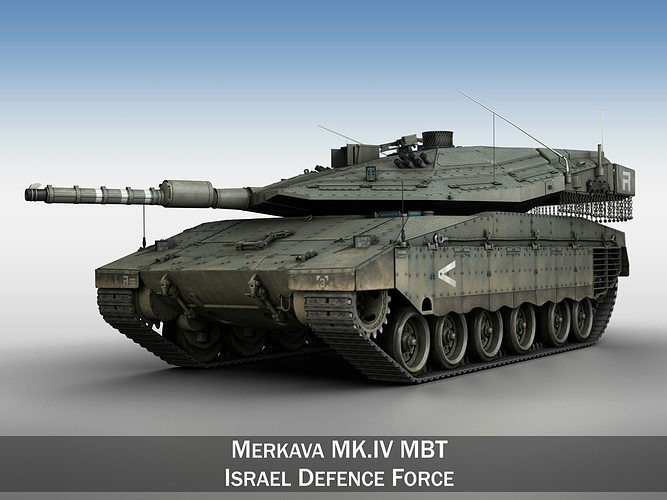 Merkava Mark IV - Main battle tank used by the Israel Defense Forces. All materials, bodypaint-textures and textures are included. NOTE - In lwo, 3ds, fbx and obj the 3 Bumpmap (Gun_B, Body_B and Turret_B) must manually load in the Materialcanal.